Almost every month Sarajo of SJ Designs Jewelry extends a photo challenge. Her husband, Eric, picks a photo for her to use as inspiration, and she shares it with the rest of us to spark our own creativity. She calls it The Honey Do List Challenge. 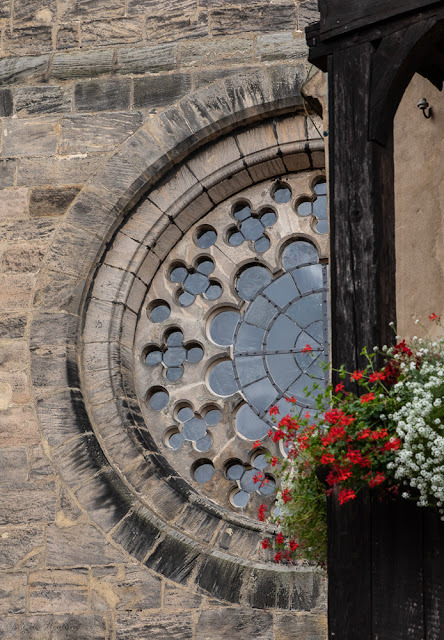 This month, Eric chose a picture he took while on their recent vacation. And, I found it quite inspiring. I have to admit that at first glance, September's photo didn't stand out much, but as I studied it for a minute, the ideas began to flow. Let me walk you through my process. I began by doing something I never do - sketched a few designs. 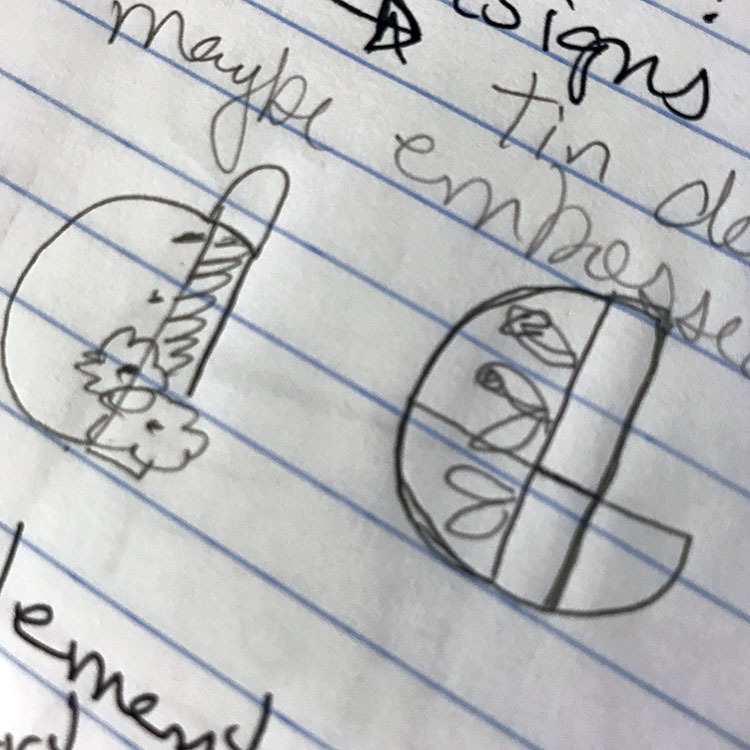 Though my sketches may not be clear to you, I knew I wanted to work with tin and somehow incorporate the flowers in the pendant. The sketch on the left is closest to my final product. 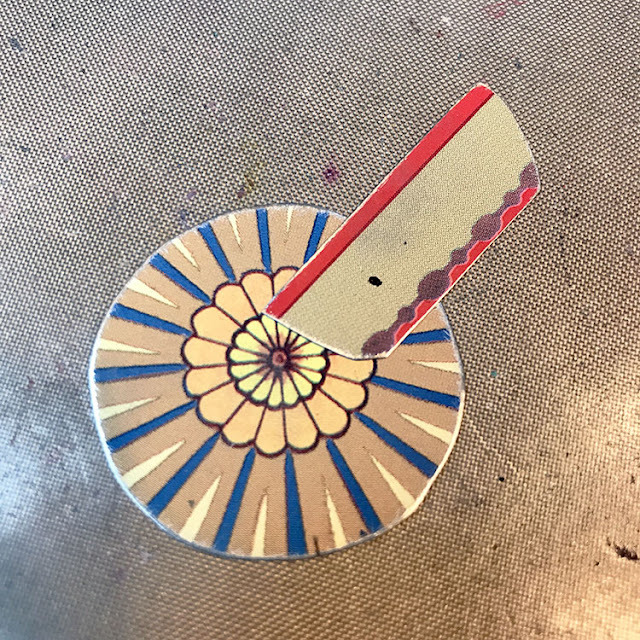 I dug through some of my cookie tin scraps and found what I thought would be the perfect elements for my design: a circle that resembled the inspiration's window and a strip that would work well as the wood pillar. As well, I uncovered several Vintaj arte metal flower charms. 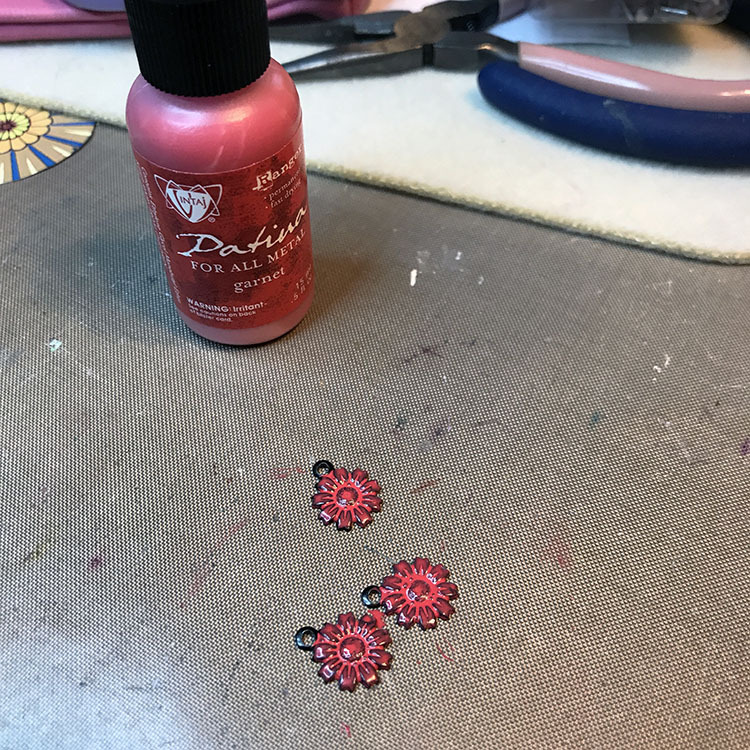 To match the red flowers in the photo, I used Vintaj Patina in garnet to color the flower charms. 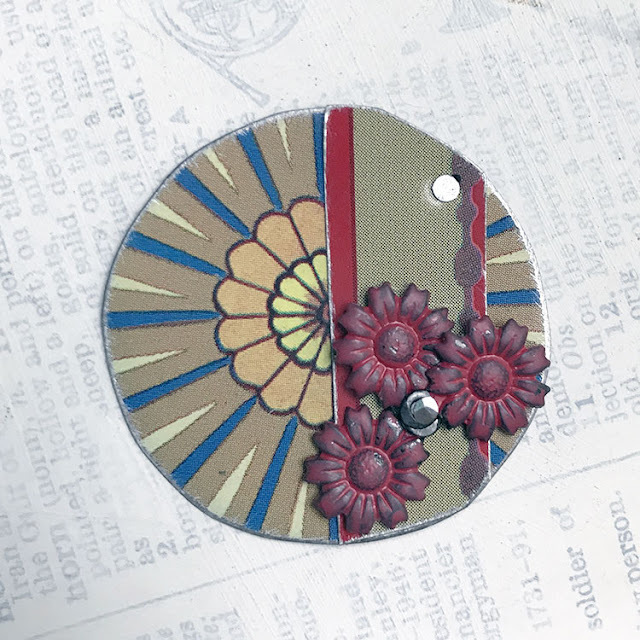 While the patina on the flower charms dried, I cut down the strip of tin to fit over the circle. Then, I sanded both pieces of tin. After deciding where the flowers should go and punching the hole for them in both pieces of tin, I punched more holes and riveted the two pieces of tin together. The flowers were sealed with matte sealer and riveted to the tin. 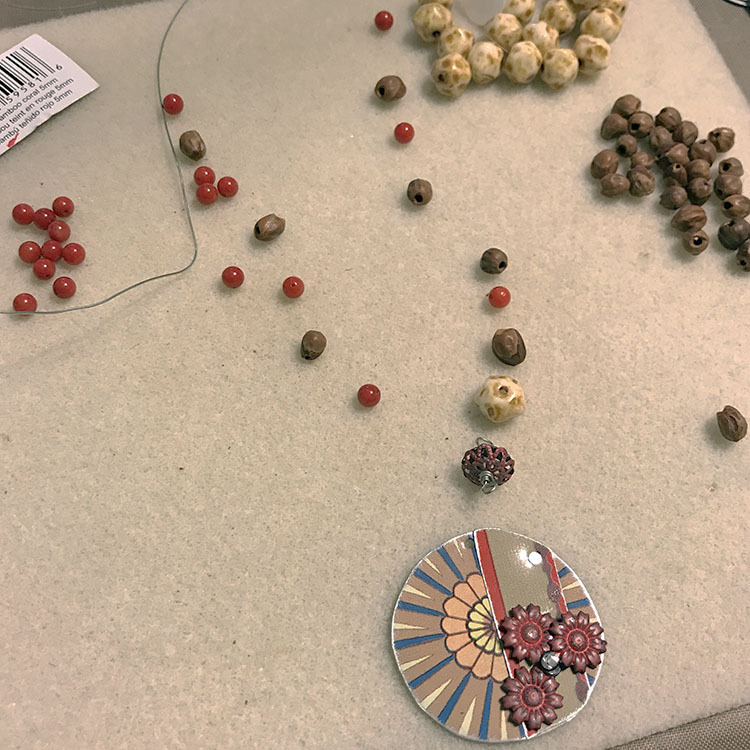 Once I picked out beads from my stash to use to make the chain of the necklace, I realized that I wanted to add a more feminine feel to echo the flowers. Filigree seemed to be the answer, but my search through my stash and a trip to a couple craft stores failed to yield what I wanted. So, I got bead caps that had the same feel and colored them with the same shade of patina. These caps were wired together to create a sort of bead for the chain. You can see the first bead cap bead above. 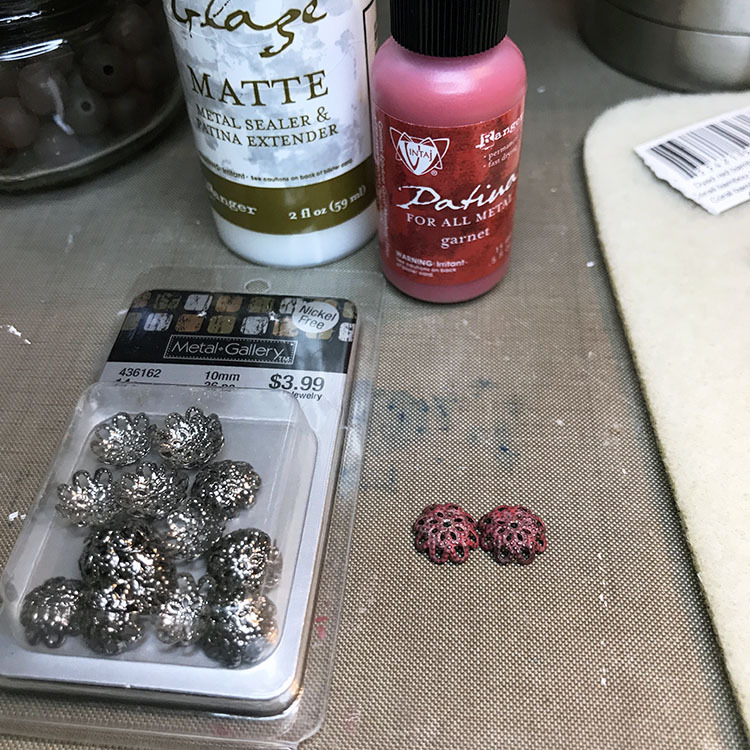 To these, I added glass beads, red-colored coral beads, and brown nut beads. 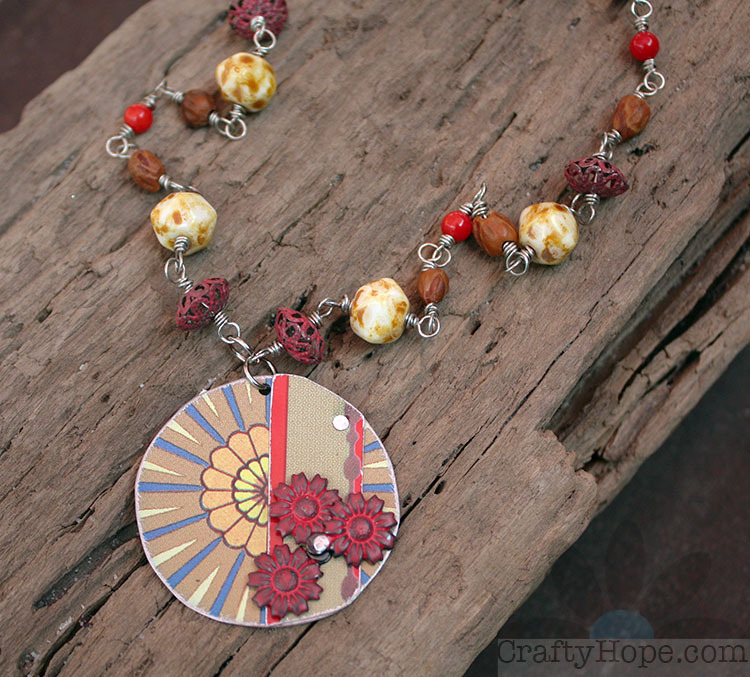 Once assembled, I had a necklace that I think reflects the inspiration photo exquisitely. 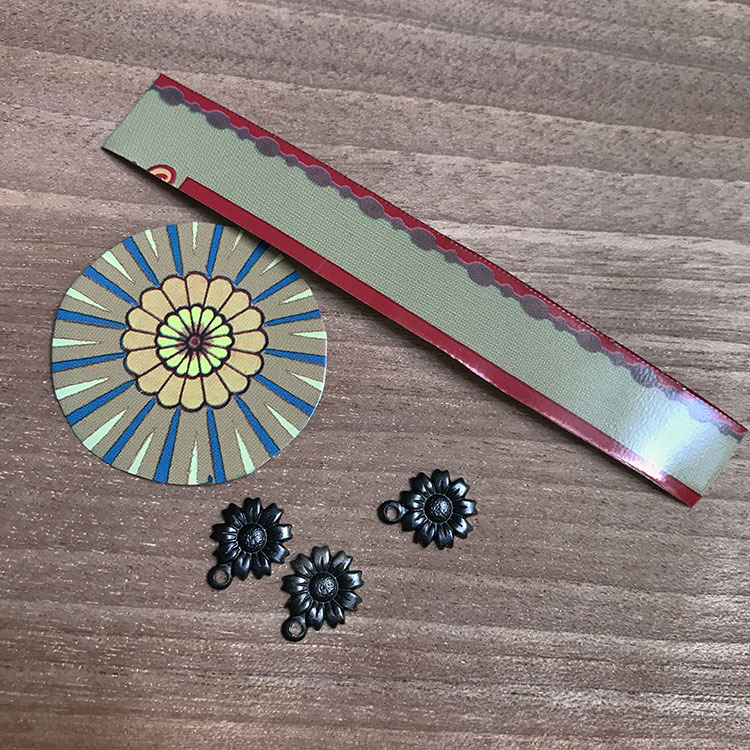 I love that this design pushed me to try altering materials to suit my needs as well as riveting the design in a new (to me) way. 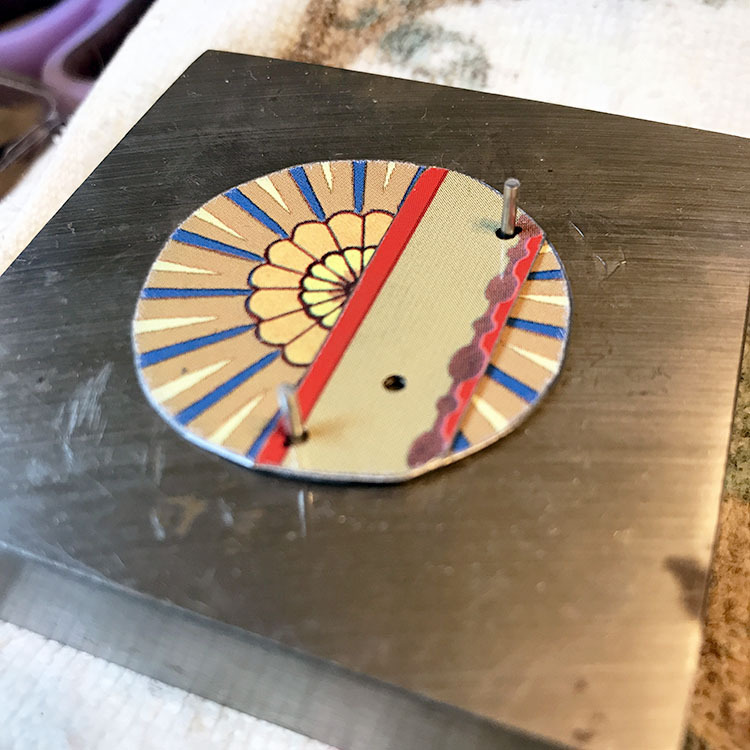 I have to admit that this might not be the final design for this necklace as I think I need a better method for attaching the pendant to the necklace. The thin tin wants to slip out of the jump ring. And, I hate not having secure connections. 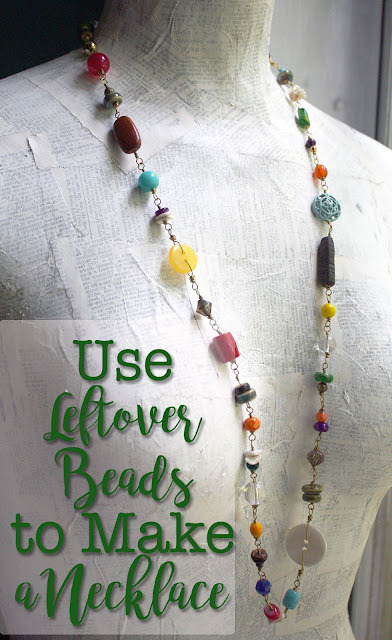 Make sure you head over to SJ Designs Jewelry to see what she made as well as the links to those who also played along with the Honey Do List Challenge. 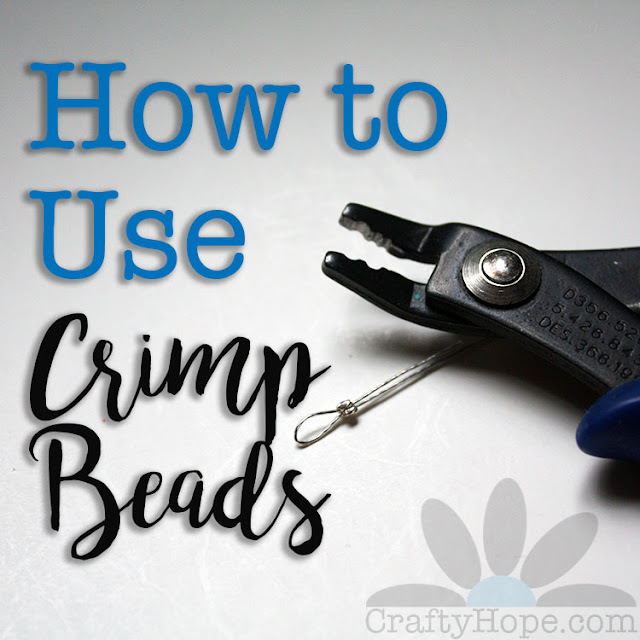 I linked up this post with the following link parties: Handmade Hangout, Friday Frenzy, Funtastic Friday. Saturday Sharefest, Sweet Inspiration Link Party, Snickerdoodle Saturday, Saturday Sparks, Nifty Thrifty Sunday (where I'm featured! 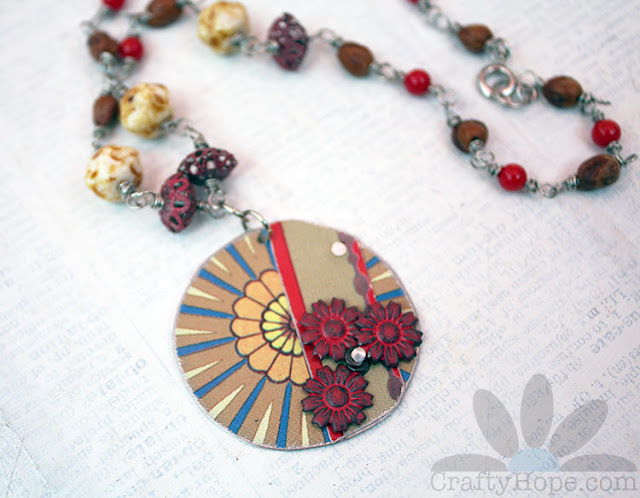 ), Inspiration Monday, Made by You Monday, Beautifully Made, and That DIY Party. I'm starting to make myself not let the lack of supplies hold me back from what I want to create. Instead, I'm trying to find ways to use the materials available to me to make what's in my head. Sometimes it works and sometimes it doesn't, but it's a lot of fun to try either way. 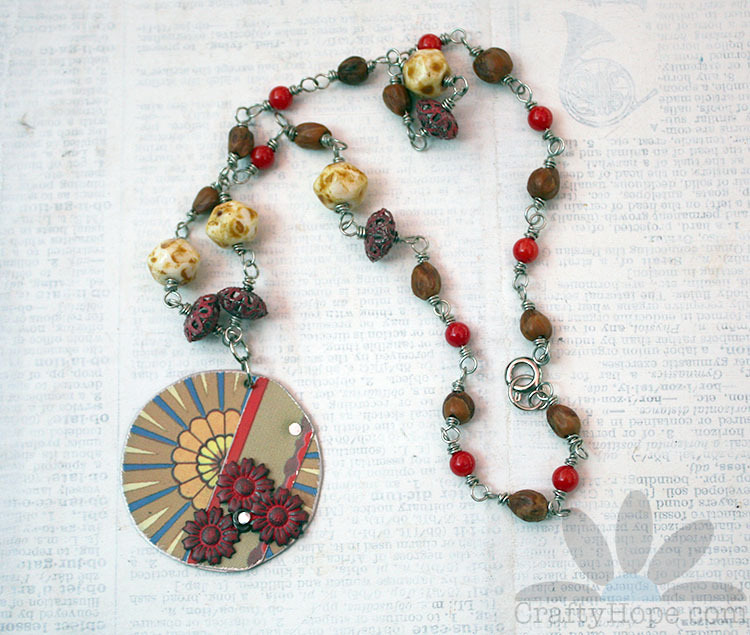 I'm so glad by little bead cap beads inspired you. I have to admit they were a little fiddly (they kept sliding around on me as I tried to wire wrap them) and frustrating, but I adore the result. I can't wait to see what you do with them. This is spectacular, Hope! Great job in designing and making every single item in the composition! Beautiful job Hope! Such a unique piece. Hope, I just love what you did this month! 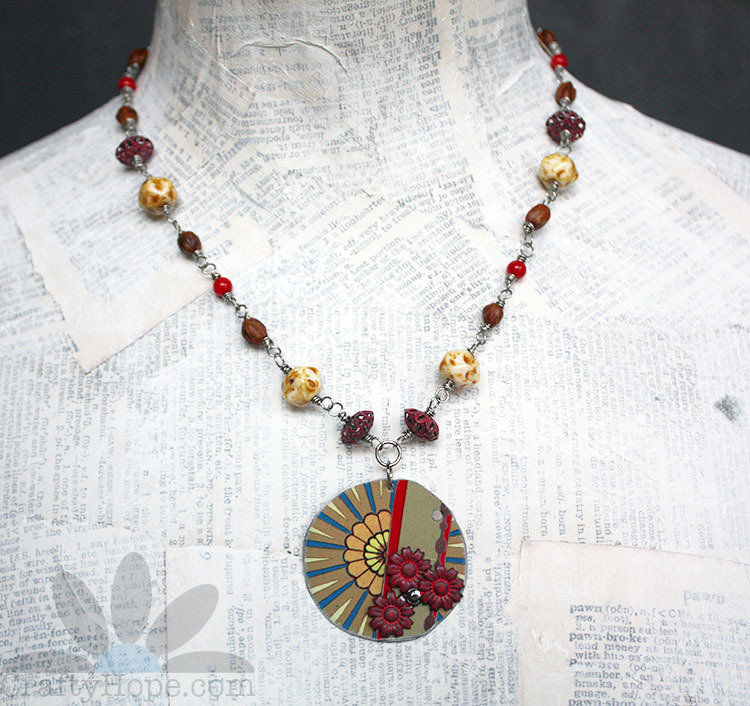 I adore your pendant with the grouping of flowers and the strip to echo the wooden pillar. You were so smart in how you used the filigree bead caps in an unique way! Thanks so much for stretching yourself and playing along this month. Sarajo, Thank you so much! The inspiration from y'all hit just right and made me think outside the box. I love that and thank you (and Eric) for it. It was a blast! I love this challenge! It's a lovely necklace too! Really fun to see how you worked to reflect the inspiration. I love the result! Ann, Thank you so much! I definitely went a bit literal with my interpretation, but I'm really happy with the resulting pendant. I appreciate you taking the time to pop in! Thanks!! Thanks! 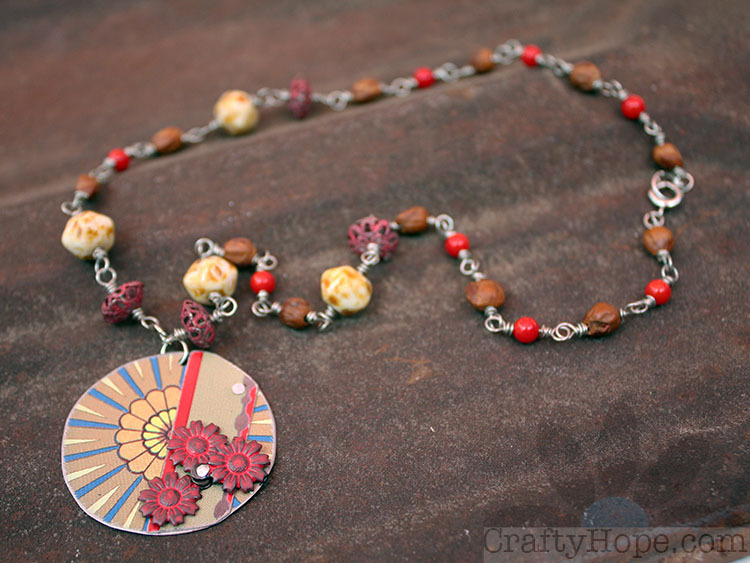 Yes, I didn't mention the chain much, but I was trying to bring in the woody and glass elements of the photo into the rest of the necklace as well. I'm so pleased you picked up on that. Thanks so much! OK, I finally remembered (OK Sarajo reminded me) to look at your work from this challenge! I am so impressed with your necklace! You really embraced this one . Thanks for taking part. Eric, Thank you! This design really surprised me in so many ways. I absolutely appreciate the inspiration photo you put forth more than I thought I would initially. Thanks for the challenge. It really pushed me to create and experiment! !